For journalist and writer Hussein Kesvani, it started with someone who went to fight for ISIS. "This story starts with a conversation I had, by chance, with a guy around my age, who also went through the same struggles with identity as I did, used the internet as a way to explore, and have questions answered," he wrote on his Facebook page. "A couple of years ago, he was killed while fighting alongside the Islamic State. It's a story I still find bizarre - not because of the actions he took, but rather how, deep down, the decisions that led him there are relatable, and integral to the way we live online." The idea developed into a book, which is out later this year. 'Follow Me, Akhi' explores how young Muslims in Britain are using the internet to determine their own religious identity, both within their communities and as part of the country they live in. 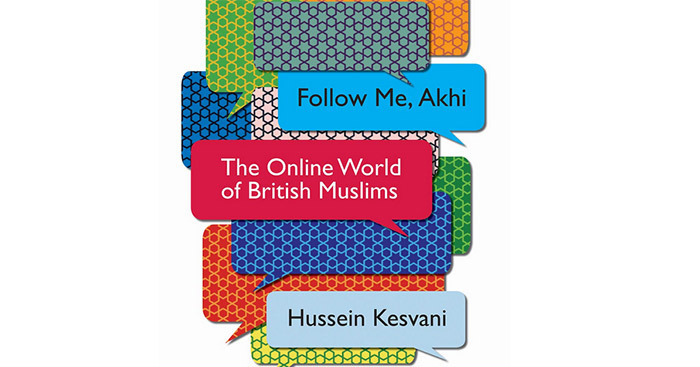 As our lives become entwined with our online presence, British Muslims are also using social media to carve their own narratives and tell their own stories, challenging stereotypes along the way, writes Kesvani in the book's blurb. In it he explores the world of Muslim dating apps, social media influencers, online preachers, and LGBTQ and ex-Muslim groups. He shows how a new generation of Muslims in the internet age are defining their religion on their own terms. Hussein is the Europe editor of MEL magazine, and has written for BuzzFeed, Vice, the Guardian, New Statesman and the Spectator among other publications. The book is being published by Hurst, whose managing director Michael Dwyer acquired the rights. Dwyer said: "Hussein Kesvani is one of the most daring yet sure-footed reporters investigating British Muslim society. His knowledge of the online life of young British Muslims is unparalleled and he writes with a beguiling mixture of empathy and wit about the stories he uncovers." The book will be out in June 2019, but you can pre-order it from Amazon or add it to your wishlist from a local bookshop.